In this week’s lotto success stories, a nurse from Michigan became $4 million richer in an instant, and a million dollar Lotto Max winner cried like a baby on learning of his good fortune. In Australia, the lottery saved a man from ruin through a million dollar prize a few weeks after he was made redundant at work. And a waitress won an easy $292K for simply listening to her husband’s advice to keep playing! A woman who works as a nurse for Macomb County was blown away by an incredible lottery win. People react differently to significant lottery wins. Some jump up and down, some scream hysterically while some just keep quiet about it. 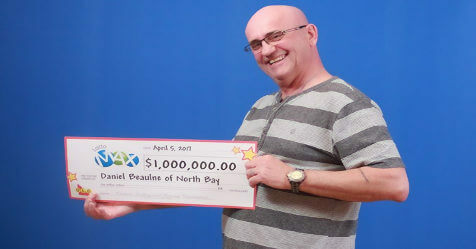 When Dan Beaulne from North Bay won a million dollars from a Lotto Max draw, he cried like a baby! The Lottery may just have saved a Perth man from financial ruin. In fact the lottery caused a complete turnaround in the man’s fortunes. Love the winning stories. Can’t wait to join them when I win.